Teaching children and adults to play an instrument is a rewarding and interesting profession. Whether you come from a teaching or performing background the opportunity to pass on your knowledge and experience can lead to a stimulating and enjoyable career. Some teachers may prefer to work part time or to fit instrumental teaching between other commitments and this can be quite acceptable, however peripatetic teaching can be a lonely business. 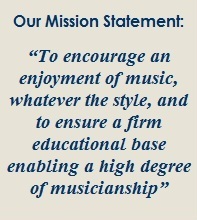 By joining Instrumental Music Services team of experienced teachers you will be able take advantage of our 20 years experience in the business of supplying quality tuition to schools and colleges. We offer regular CPD (Continuing Professional development) opportunities and enjoy a team atmosphere where local Managers are on call to help, advise and support our valued team of teachers. If you are interested in becoming part of our rapidly expanding teaching team please complete the following form and e-mail to info@imsmusic.co.uk along with a C.V.